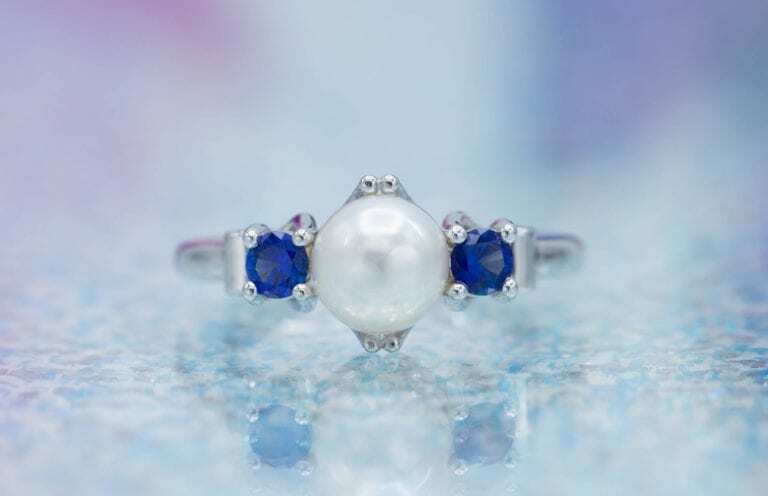 12.12-ct Sweet Home Mine Rhodocrosite set in 18kt yellow gold, accented in diamonds, sapphires and plum pearl. Lapidary Artist: Buzz Grey Designer: Travis Duggan of NM. Photo courtesy of Shelly Sergent, Somewhere in the Rainbow Collection. One of the most heavily mineralized areas of the world, Colorado makes a great destination for any gem enthusiast. Don’t plan on venturing into the Rockies to pull a crystal out of the ground? The geologic rarities on display at the Denver Museum of Nature and Science and the Colorado School of Mines Geology Museum will enthrall and inspire all year round. If you can visit in September, plan to attend the annual Denver Gem and Mineral Showcase. It features a dozen gem, mineral, jewelry, and bead shows that draw globally. 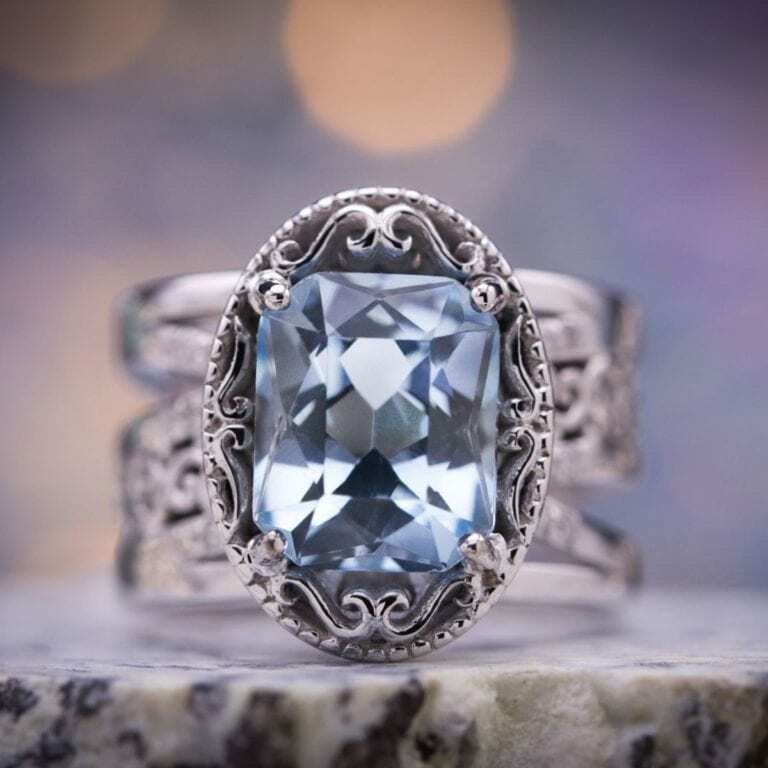 Furthermore, with so many native Colorado gemstones, such as aquamarine, rhodochrosite, topaz, and amazonite, gem enthusiasts will certainly find a true Coloradan souvenir. Colorado boasts two world-class mineral collections, must-sees for anyone in the state. In addition, the National Mining Hall of Fame as well as a number of small museums specializing in local fossils or mining history call Colorado home. The Denver Museum of Nature and Science houses the Coors Mineral Hall. Here, visitors first walk through a faux mineshaft and into the exhibit, which features stunning gem specimens from around the world. Perhaps the most stunning display, a wall of rhodochrosite, the state mineral, glistens like bright red candies. You can also see on display the Alma King. 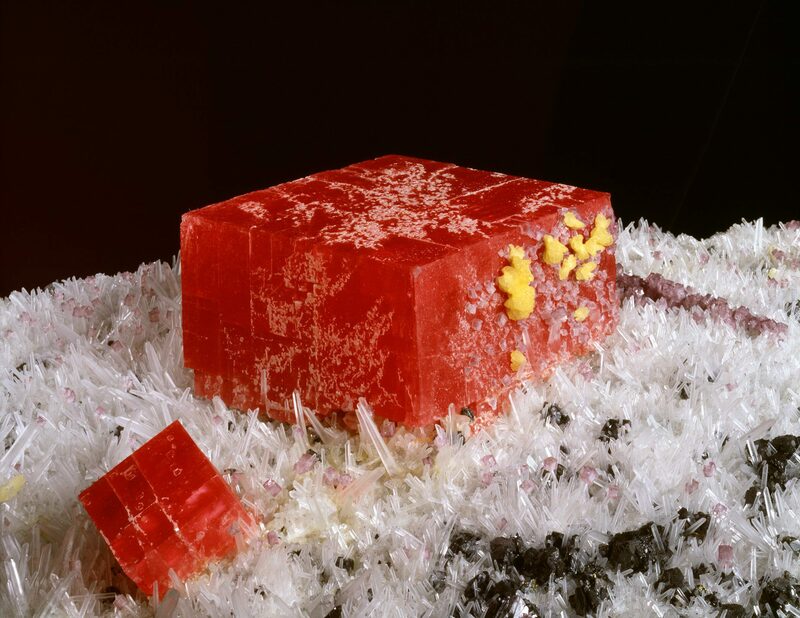 This specimen, the largest known rhodochrosite crystal, measures 14 × 16.5 cm. Another incredible display is Diane’s Pocket, a large plate of Mt. Antero aquamarine with dozens of bright blue crystals. Around the corner, you’ll see the glitter of Colorado gold. One amazing specimen is Tom’s Baby, an eight-pound gold nugget found in Breckenridge, CO in 1887. Rhodochrosite (Alma King) on display in Coors Mineral Hall. Photo by Richard M. Wicker. © Denver Museum of Nature and Science. Used with permission. Upstairs from the Coors Mineral Hall, hidden among wildlife dioramas, a room displays the fascinating gem sculptures of Vasily Konovalenko. Konovalenko began his career as a set designer in Russia. He first used gem sculpture for a set of The Tale of the Stone Flower, a ballet about a lapidary. Soon after, the art form enthralled him. Over the next decade, he produced dozens of sculptures depicting Russian folk life. These include a drunken painter and ice fishers. 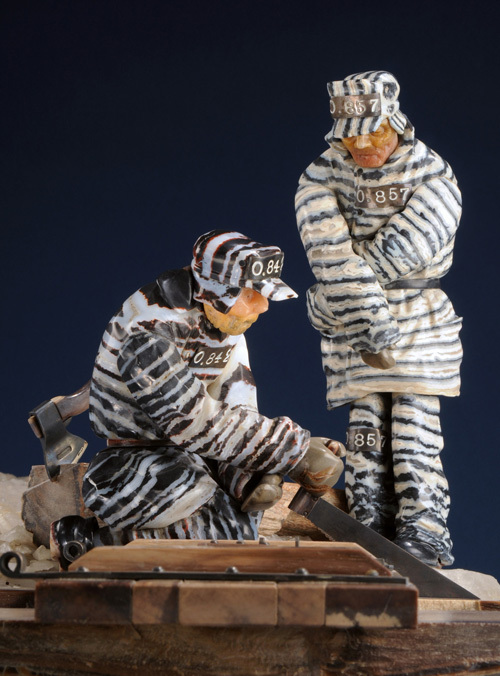 While his choices of material and subject seem odd matches (most wouldn’t think to use ruby, sapphire, quartz, jasper, and obsidian to depict prisoners in Siberia), his work simply fascinates. The museum hosts the largest collection of his works outside of Russia. For any gem enthusiast visiting Denver, this is a must-see. Detail from Konovalenko’s “Siberian Prisoners,” by Richard M. Wicker, Museum Photographer, Denver Museum of Nature and Science, Denver, Colorado USA. Sculpture by Vasily Konovalenko. Licensed under CC By-SA 4.0. Anyone interested in gems and geology will enjoy the Geology Museum at the Colorado School of Mines. Nestled in the hills of Golden, CO, this museum features two floors of amazing mineral, gem, fossil, and rock specimens. In addition to fantastic finds from around the globe, the museum hosts one of the state’s two moon rocks, meteorites, and historical artifacts. A small shop offers small mineral specimens for those just beginning their collections, as well as rare and beautiful ones for ardent collectors. Outside the museum, a small geology walk informs visitors of geologic features around campus, including in situ fossils and tectonic features. Liebigite is a hydrous calcium uranyl carbonate. Under ultraviolet light, this specimen fluoresces green. Schwartzwalder Mine, Ralston Creek District, Jefferson Co., Colo. Collection of the Colorado School of Mines Geology Museum. Golden, Colo. Photo by Ron Wolf. Used with permission. The museum also offers mineral identification services for a few hours each week. If you’re not sure what you’ve picked up in the field, give them a call! Every September since 1967, the Denver Gem and Mineral Showcase has brought jewelers, lapidaries, miners, and collectors from around the world to the Mile High City. From September 6-17, 2017, twelve shows involving gems, jewelry, minerals, and fossils will host hundreds of vendors. Since 2017 marks the show’s 50th anniversary, this year’s main show has a “Gold and Silver” theme. Smaller shows occur throughout the state, especially at the end of the field season. The August 10-13 Contin-Tail Rock & Mineral Show in Buena Vista is Colorado’s biggest outdoor show, drawing over 100 vendors. “Mount Princeton from Cottonwood Pass road, west of Buena Vista” by David Herrera. Licensed under CC By 2.0. Colorado has over 30 varieties of native gemstones. Let’s take a quick look at what you can find in the state. 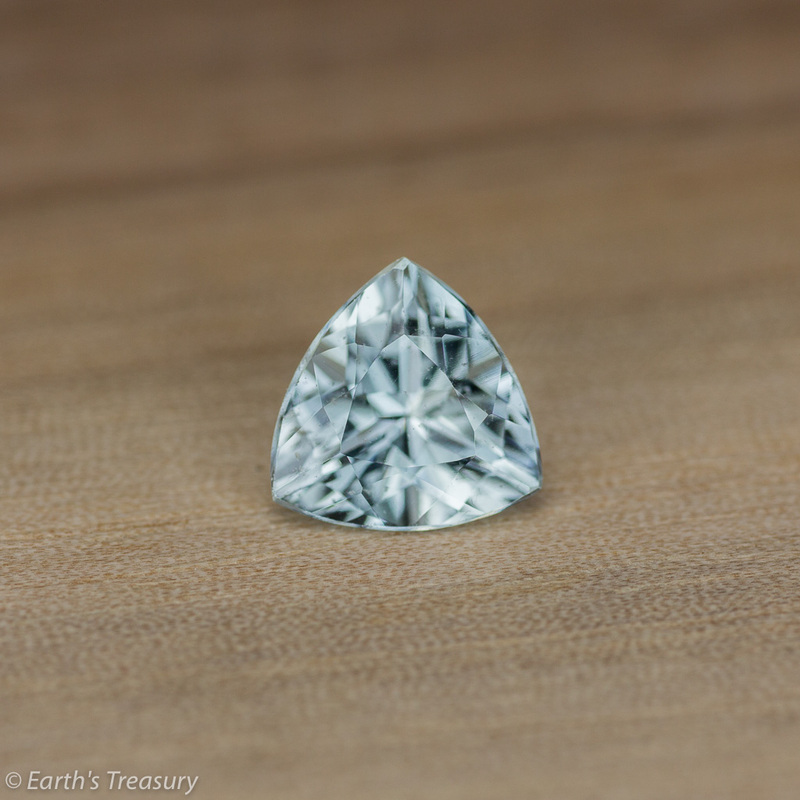 Named the state gemstone in 1971, aquamarine is mined at high altitudes in the Mt. Antero area of the Rockies. 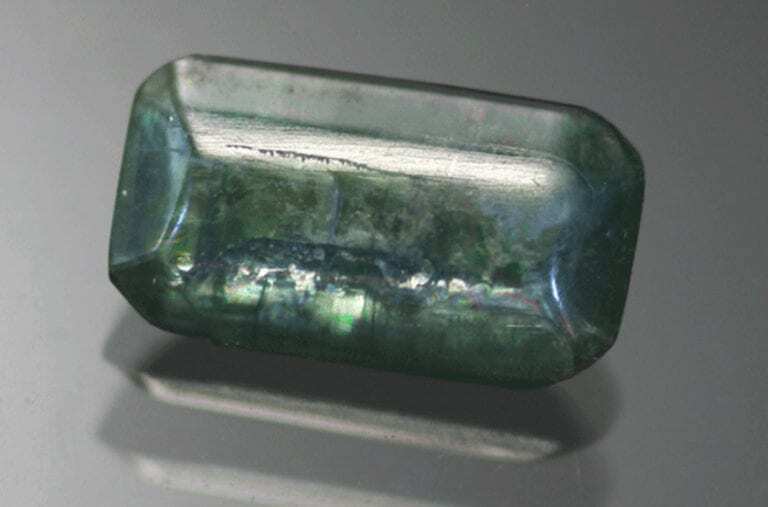 This blue or blue-green stone, a variety of beryl, is the March birthstone. Mt. Antero aquamarines have good transparency and light to medium tones. 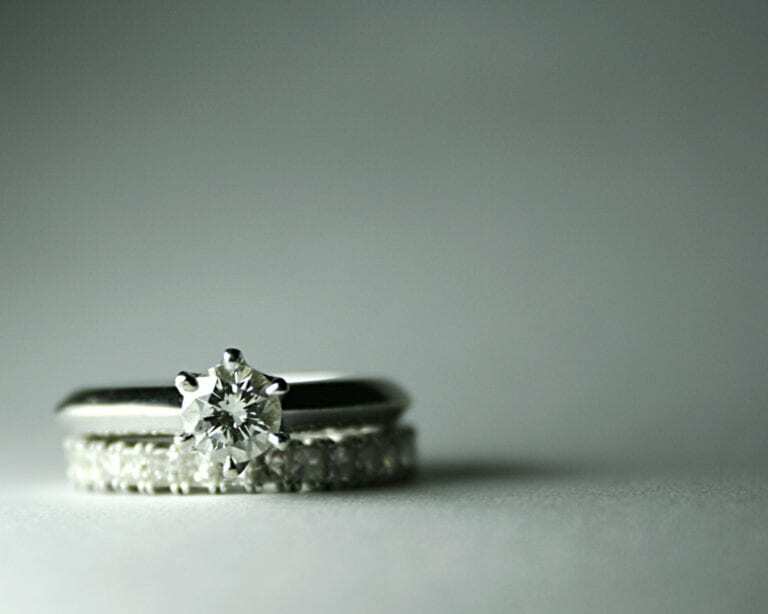 You can find some gem-quality stones cut and set in jewelry. 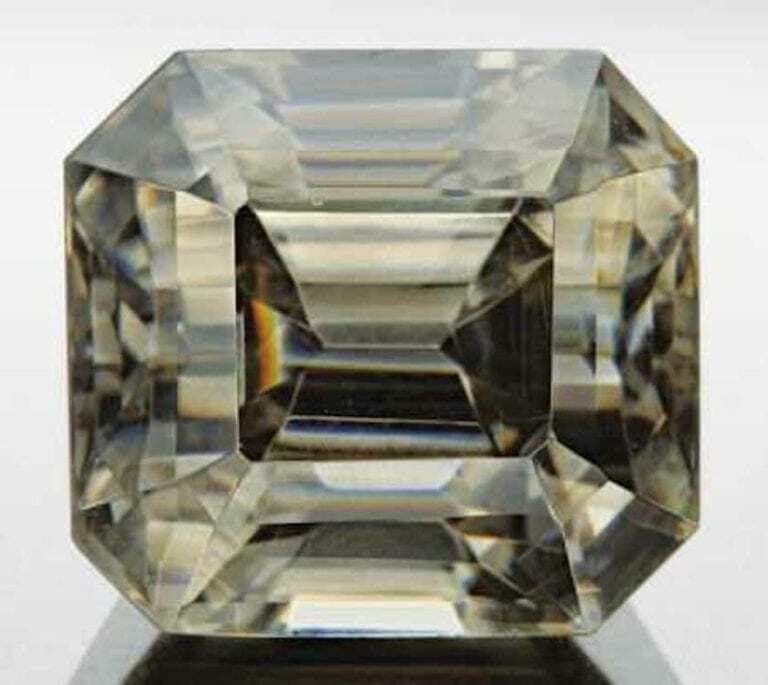 2.11-carat Mt. Antero Colorado Aquamarine. © Earth’s Treasury. Used with permission. In 2002, rhodochrosite was named the Colorado state mineral. 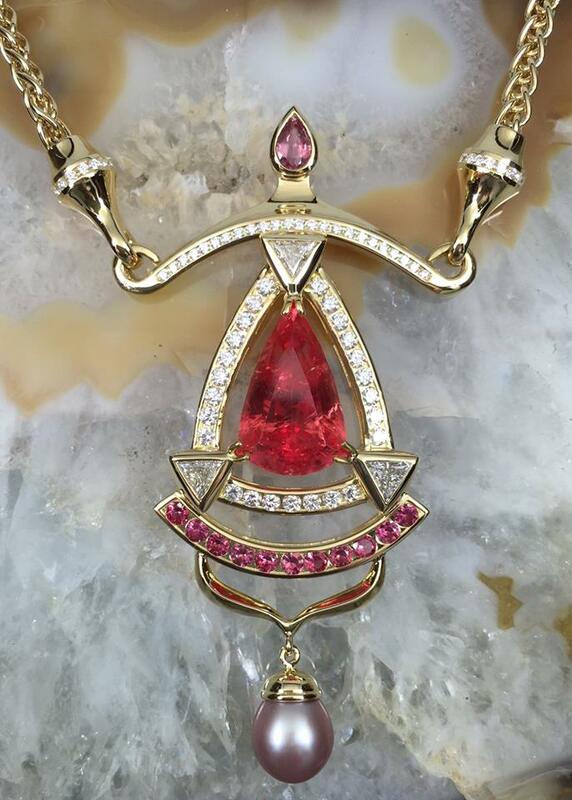 Now closed, the Sweet Home mine in Alma, CO once produced the highest quality rhodochrosite in the state. 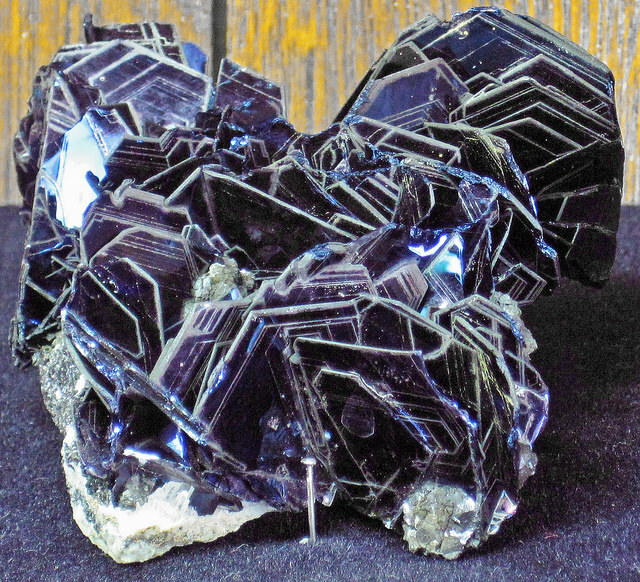 Though other mines actively produce this collector’s mineral, it remains relatively rare. 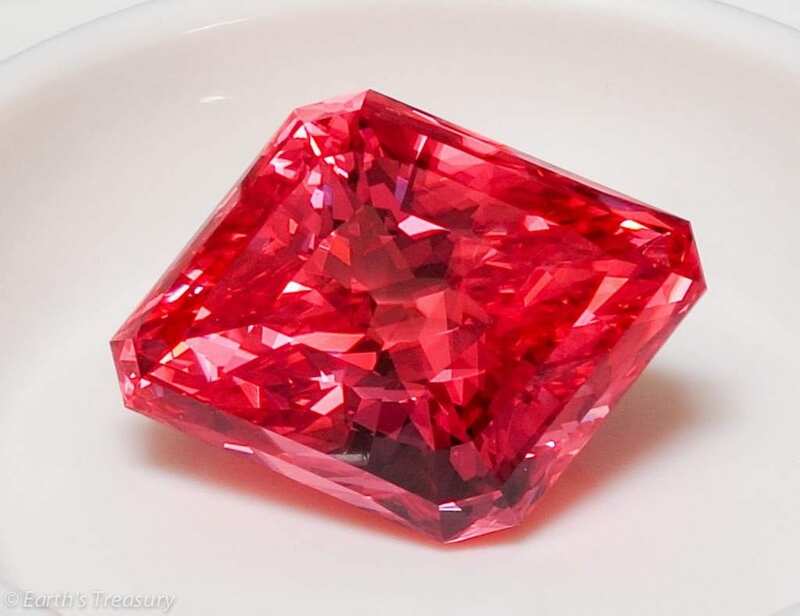 Its deep red color is stunning even in its natural state. 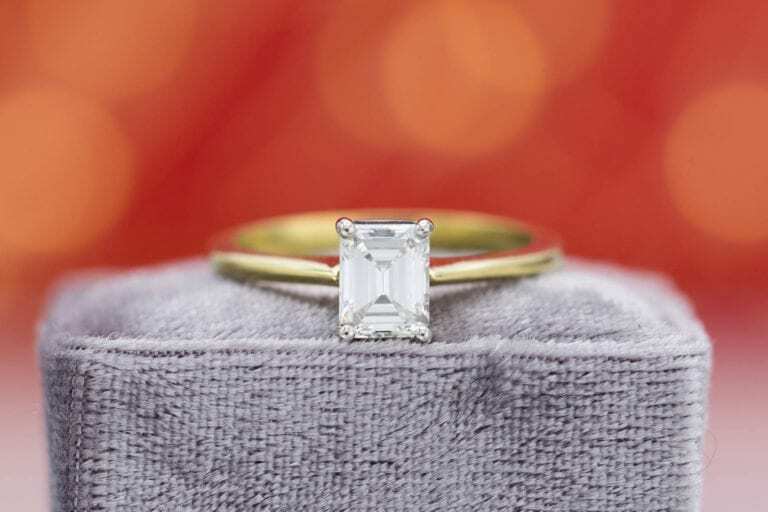 Gem cutters rarely cut this gem. 16.00-ct Sweet Home Rhodocrosite, cut by lapidary artist Stephen Kotlowski, (who won a Cutters Choice Award for this gem in 2014). Photo courtesy of Shelly Sergent, Somewhere in the Rainbow Collection. 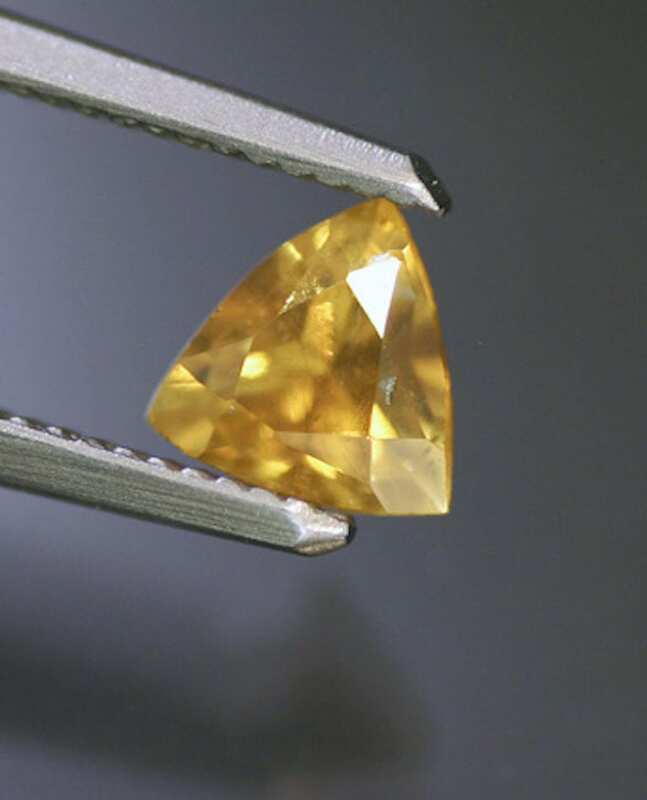 The Tarryall Mountains of Colorado produce gem-quality topaz, the November birthstone. 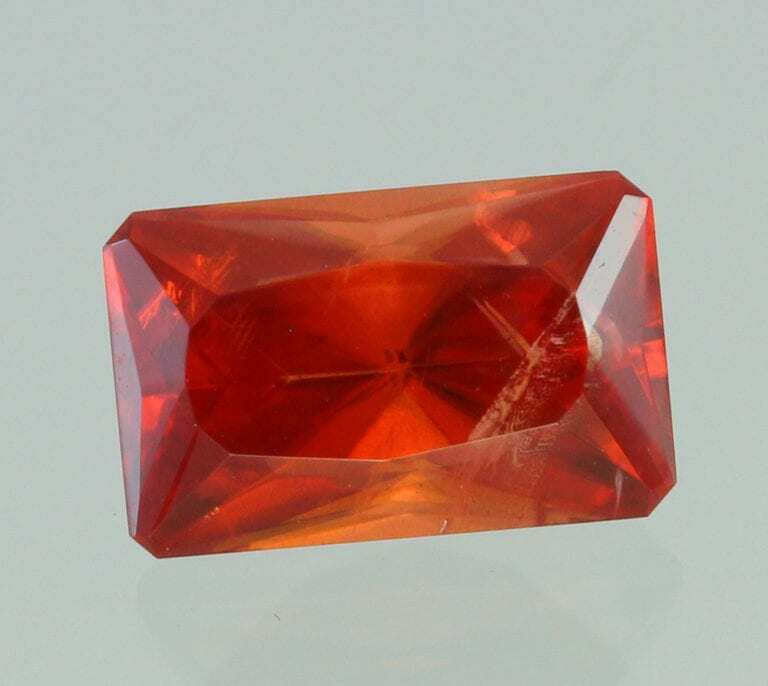 With a hardness of 8, topaz makes a durable jewelry stone. However, it doesn’t generally garner high values due to its lack of fire or dispersion. 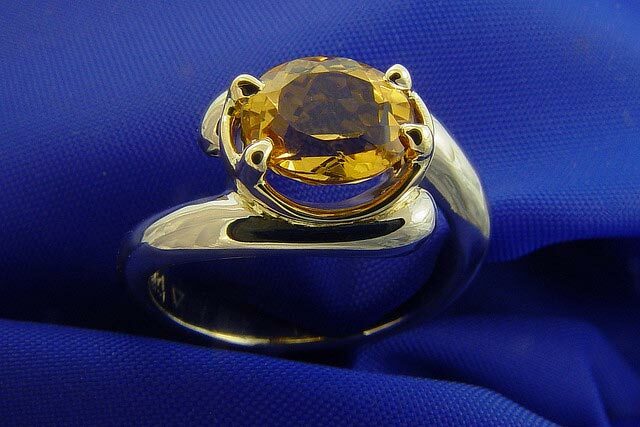 Although popularly associated with yellow, topaz occurs in many colors. In fact, much of the Colorado material has light blue tones. River beds downstream of the mountains often contain topaz gravel. 15.19-ct Peach-Pink Colorado Topaz. © Earth’s Treasury. Used with permission. Amazonite has caught the eye of many Coloradans. This variety of microcline feldspar contains lead and water in the crystal matrix. 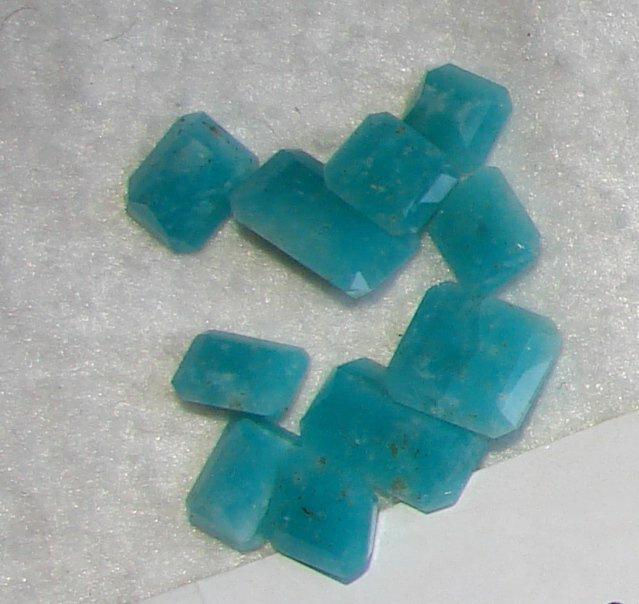 As a result, these gems have a beautiful blue-green color. 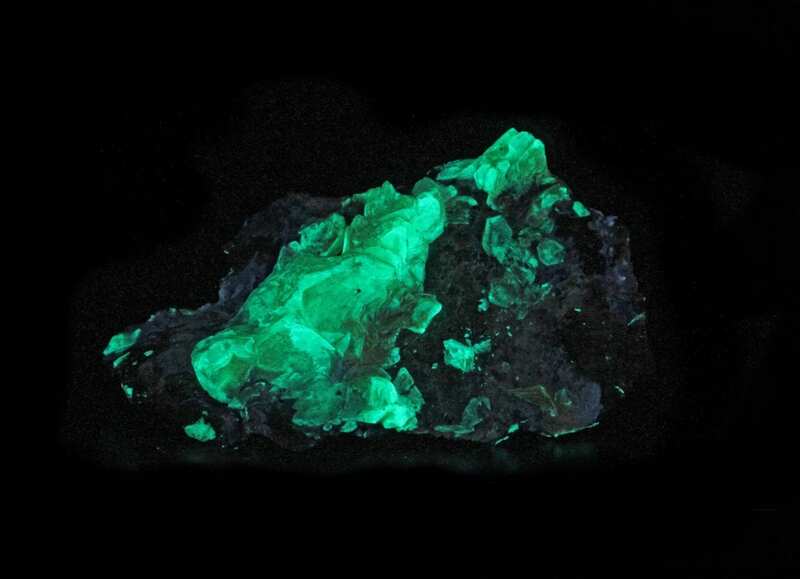 While rare worldwide, this mineral occurs abundantly near Pike’s Peak. 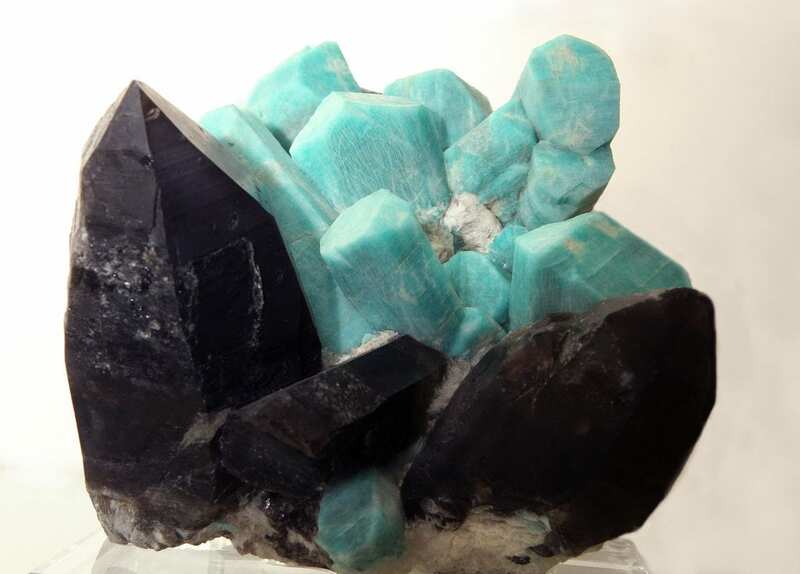 Amazonite is commonly found in association with smoky quartz, creating stunning mineral plates with large, black quartz crystals and bright blue amazonite. 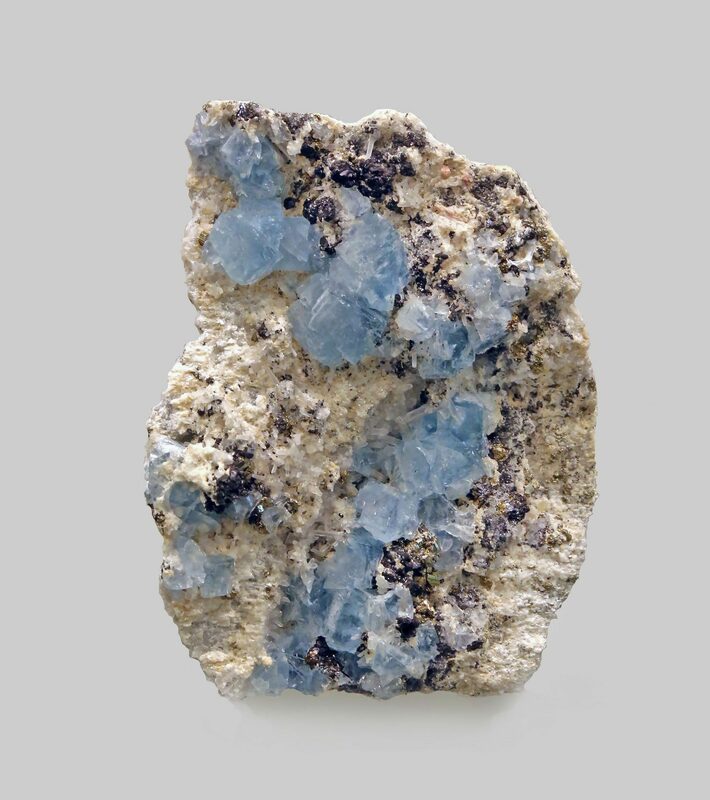 Although subject to cracking and chipping, this material sometimes finds use as beads and cabochons due to its intense blue-green hues. During hikes in the Pike’s Peak area, observing the splashes of amazonite color in situ in the mountainside can be a delightful highlight. Amazonite with smoky quartz and albite. Crystal Peak area. Teller Co., Colo. Collection of the Colorado School of Mines Geology Museum. Golden, Colo. Photo by Ron Wolf. Used with permission. One of the lesser known native Colorado gemstones, fluorite can display a wide variety of colors. 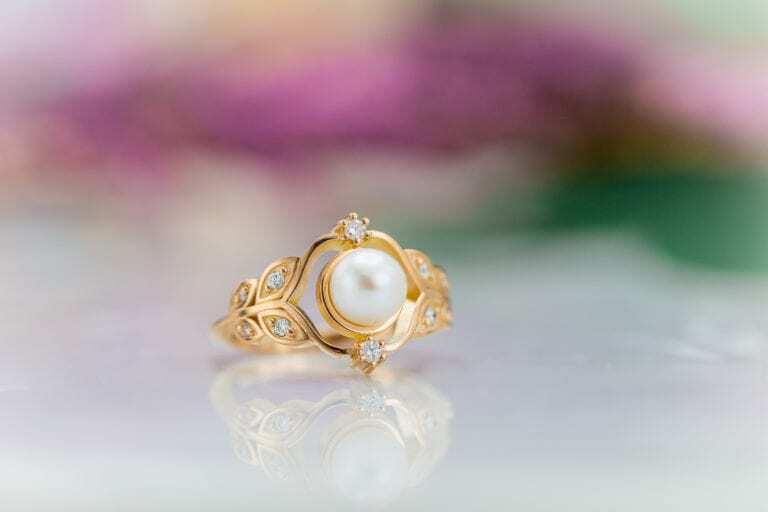 Although it polishes beautifully, it’s unfortunately too brittle and soft for jewelry use. 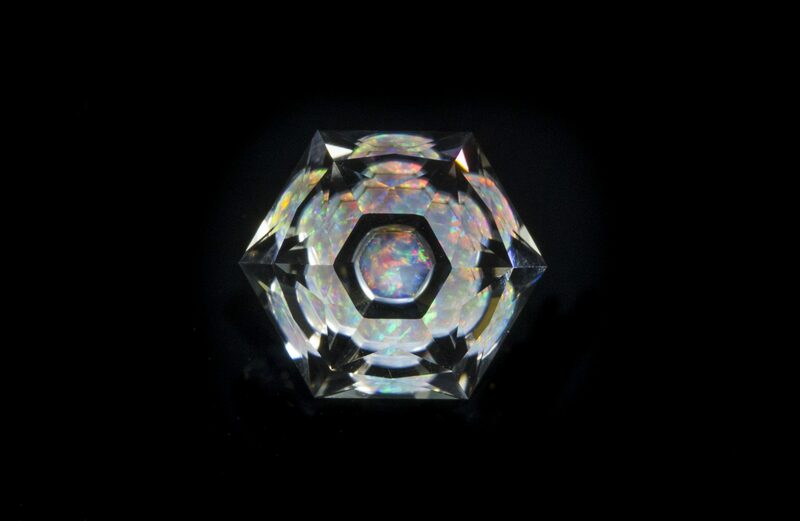 However, its natural cubic crystal structure shines delightfully in rough. 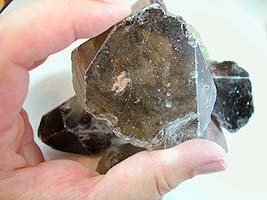 Fluorite occurs in several areas of Colorado, including Mt. Antero, Cripple Creek, Sweet Home Mine, Lake George, and other mountainous regions. Fluorite with Sphalerite and Pyrite. Sweet Home Mine. Alma, Park Co., Colorado. Collection of the Colorado School of Mines Geology Museum. Golden, Colo. Photo by Ron Wolf. Used with permission. Closed in 2001, the Kelsey Lake Diamond Mine was the country’s first commercial diamond mine. 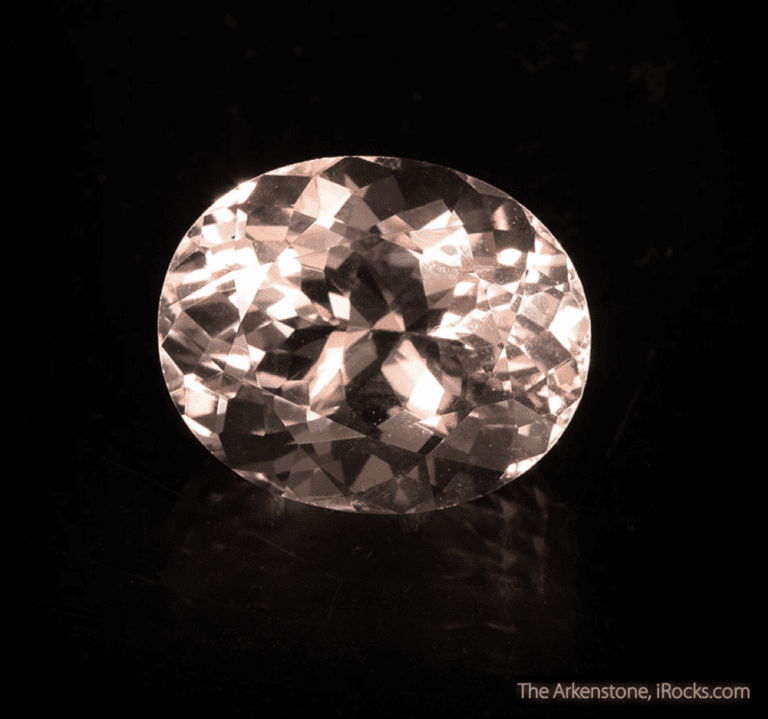 It produced the “Colorado Diamond,” weighing 28.3 carats rough. 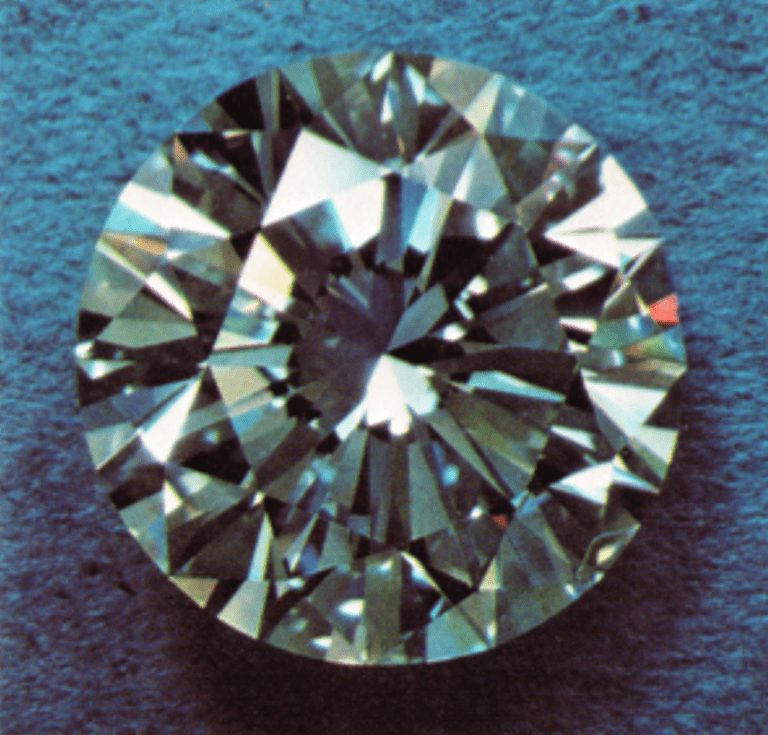 The kimberlites near the Wyoming border still produce diamonds, though not commercially. Of course, this short list doesn’t cover all Colorado gemstones. Completionists should check out Mindat.org’s extensive list of minerals found in Colorado. In addition, you can find gold and silver, a variety of fossils (including dinosaurs! ), and petrified wood in the state. 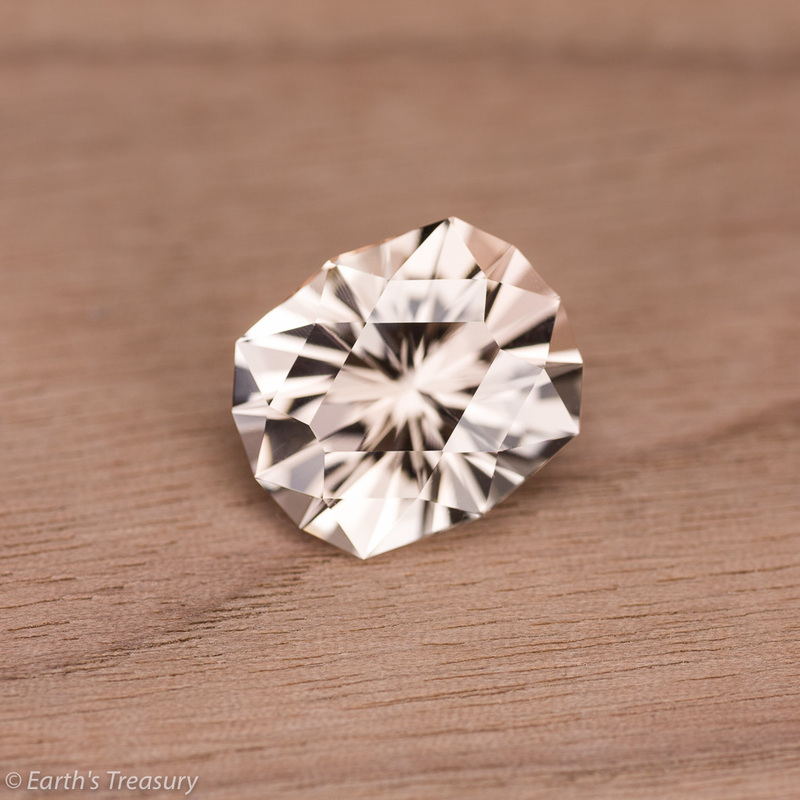 The Centennial State has many great spots for gem-hunting. However, make sure you do your research first and stay on the right side of the law. Avid rock hunters should consider joining the Colorado Prospector Club. You’ll get a better understanding of mineral rights in Colorado and a chance to share tips and techniques. In addition, you can join others on prospecting trips on federal lands. 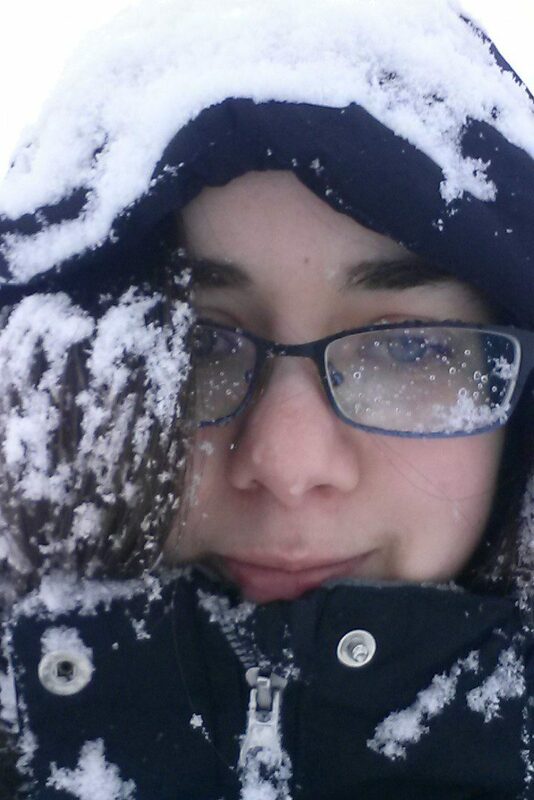 Below, you can see some photos of finds that Club members have graciously shared. If you’re not the type to spend hours researching mineral rights, some businesses do offer fee mining. In addition, some clubs, such as the Colorado Mineral Society, organize trips for members on their lands. Local rock and mineral clubs may also organize trips and aid in identification of finds. 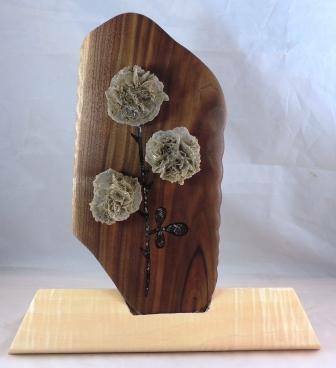 A decorative piece inlaid with barite and desert rose from eastern Colorado. Photo courtesy of Blaine Mitchell © LapisLigna Designs. Used with permission.